Sea Star Apartments have magnificent ocean views to Airlie Beach, Abel Point Marina, Hayman Island, Hook Island and as far as the eye can see from every Apartment balcony whilst still remaining secluded, spectacular, spacious and simply stunning, within easy walking distance down to the centre of Airlie Beach. The 1, 2 and 3 bedroom fully furnished, spacious, clean, self contained, air conditioned apartments offer 4.5 star accommodation. Our magnificent 3 bedroom Penthouse has breath taking views and is perfect for that special quiet getway. SeaStar Apartments has a wet edge pool the once again reveals the fantastic views of the Whitsundays, with a spa and barbecue area overlooking the pool area. A free booking office for all your tour requirements is on site. One single garage is allocated to each unit with additional parking space available upon request. On arriving in Airlie Beach at the first roundabout turn right into Waterson Road, then turn right approximately 200m into Orana St, then first turn left into Nara Avenue and a hard right turn to go up our private driveway. Reception is on the left hand side at the top of the driveway. 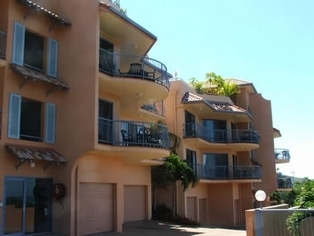 Taxis, shuttle bus and limo services are available to Sea Star Apartments. Please contact Sea Star office to arrange your transfer. 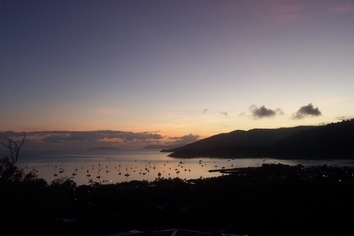 Airlie Beach is the gateway to the famous Whitsunday Islands and Great Barrier Reef. 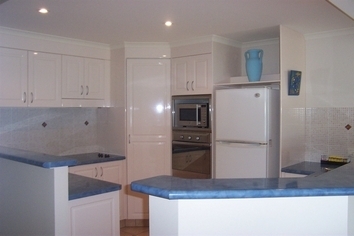 The Whitsunday's can cater for your every whim and desire. Experience the ultimate from water sports including snorkelling, diving or swimming, to scenic flights and ski diving. The activities are in abundant, not to mention Whitehaven Beach.